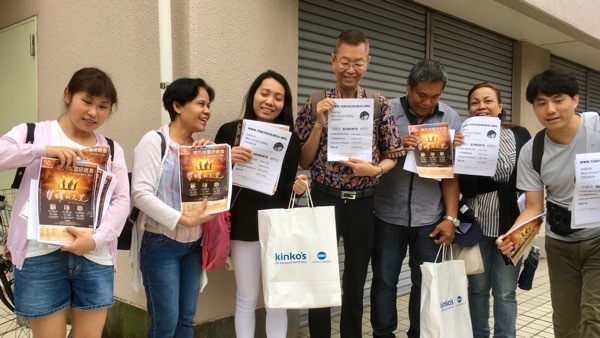 …TMC apprentice Kevin Hui is bringing a team of young people from Macau in early July to distribute TMC literature, learn about Sumida-ku in Tokyo where TMC is located, prayer walk, and join TMC for Sunday worship. Our focus will be to invite people to view the famous Sumida River fireworks with us on July 28 and to encourage Chinese speakers to attend the Hong Kong Bible Conference that will be live streamed to TMC in August. As always, our outreach has the purpose of inviting people into a saving and loving personal relationship with Jesus Christ.